Recently we showcased the Nike PG 1 Duke PE which was gifted to the school. Nike Basketball will also extend upon their player exclusives for the regular season opener. 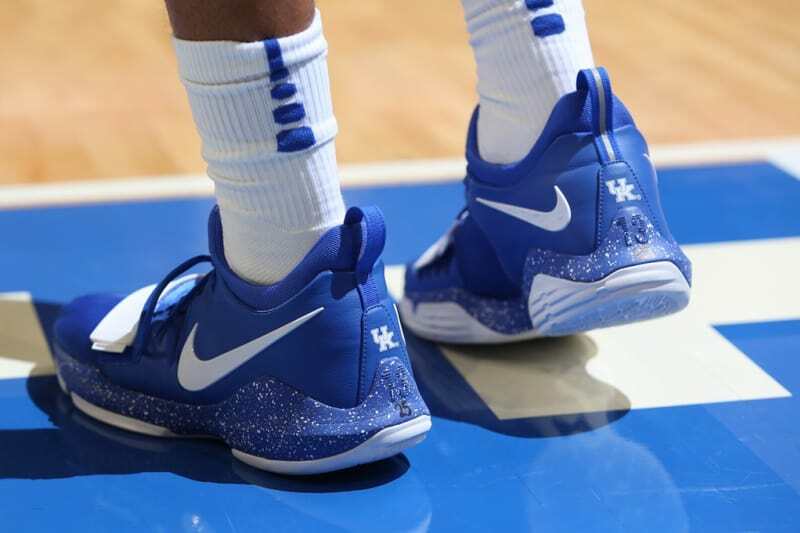 We now have a look at the Nike PG 1 ‘Kentucky Wildcats’ PE. As you can see this Nike PG 1 comes covered in Royal Blue while White accents are spread throughout. In addition we have speckled detailing on the midsole while White is applied to the outsole. Completing the look and making them officially a player exclusive, we have the schools logo on the heel. Continue to scroll below to check out another image of the Nike PG 1 Kentucky Wildcats PE. Don’t expect this pair to release however its possible to see some sizes wind up on eBay. Make sure to visit the comments section and let us know your thoughts.